Massacres, killings, torture, displacements, massive exodus. One year after the coup d’état in the Central African Republic (CAR), in a new report members of the Médecins Sans Frontières/Doctors Without Borders (MSF) teams speak about the atrocities they have witnessed in this country. Twelve months ago, on 24 March 2013, armed members of the former Séléka rebel coalition seized Bangui, the capital of the Central African Capital (CAR). For the last 12 months, this already battered and under developed country has been going through a major political and military crisis that has had tragic and unprecedented implications for the entire population. This major crisis has broken out against the background of the extremely fragile health situation in the country. CAR’s health indicators are amongst the lowest in the world. Huge numbers of the minority Muslim population have been forced into exile in neighbouring countries in recent months. While they are now bearing the brunt of the instability, no one in the country has been left unscathed. In spite of deteriorating security conditions, critical needs have to be met. This is why, MSF, a key medical agency in the CAR, considers this one of its main emergency settings and is increasing activities there. 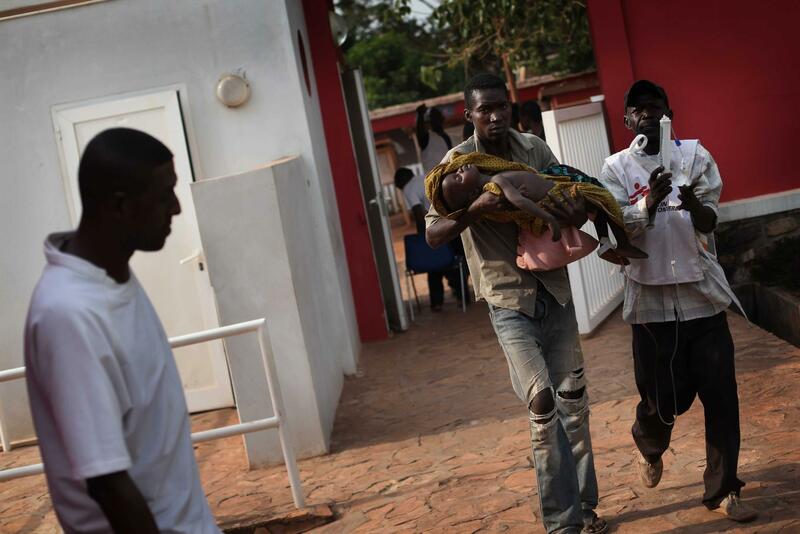 MSF is treating the most severe cases and providing emergency referrals to other structures at the Bangui airport. Since the escalation of the conflict last December, MSF has treated 4,000 injured people in the CAR. It has over 2,200 people involved in the sixteen projects throughout the country, to complement its regular health care initiatives in the capital Bangui and in the rest of the country. Teams have also been dispatched to Chad, Cameroon and the DRC, where nearly 300,000 Central African nationals have fled. “The humanitarian and medical situation was already horrendous before the coup d’état but it has been getting even worse over the last 12 months. We know the crisis in the CAR is set to continue for some time. However, on the ground, today, there are still not enough of us to address the clamour of needs. And yet, the urgency continues,” stresses Marie-Noëlle Rodrigue.